The plan was to prime a few parts today but life has a way of changing the pans of even the most committed aircraft builder sometimes. After getting a late afternoon start in the shop, decided to forge ahead and prepare more parts for primer and paint ... actually better this way anyhow makes cleaning the spray gun more worthwhile. The edges of both W-1277 turtle deck skins were filed and smoothed with a Scotch-Brite wheel. Before priming, all the rivet holes with the exception of those common with the rear window will be dimpled for the flush rivets being used on the RV-12 project. Next up was the W-1254 support frame brace. The W-1254 braces require a little trimming … unfortunately, the amount to be removed was not symmetrical between the two edges that required trimming, so the part could not be run through the band saw. Decided the nibbling tool would be a good option for trimming the material. 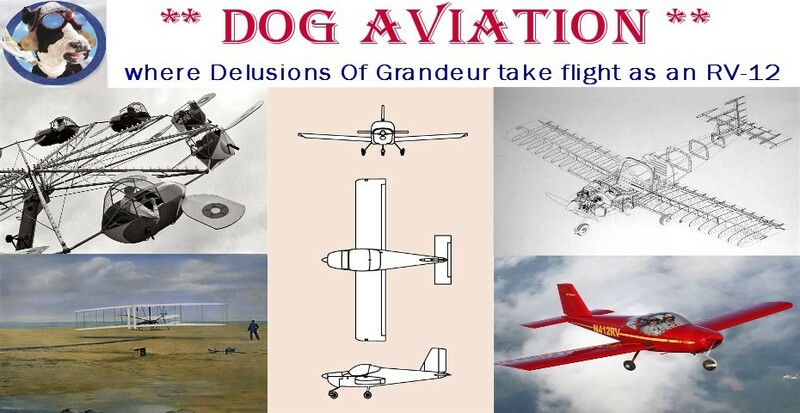 Jered, a collage student with an interest in aviation, has been keeping tabs on the progress at DOG Aviation. Whenever he visits the next door neighbors, Jered often stops by to see what is being worked on. It is enjoyable to let visitors use the tools to finish off a task … so today I thought Jered may enjoy using the nibbling tool to remove the excess material from the W-1254 support frame braces. side of the W-1254 brace than the other - which will negate the use of the band saw. Jered making practice cuts in aluminum with the nibbling tool. Jered doing a fine job of using the nibbling tool to remove the excess material from one of the W-1254 braces. The W-1232A roll bar brace was located and deburred and the W-1232B mounting brackets for the brace were located, separated into left and right pieces, then deburred on the Scotch-Brite wheel. A few other miscellaneous parts were also deburred today as well. All of the parts worked on today will ultimately receive primer and interior JetFlex paint because they will be visible in the cockpit area. the bench have been deburred and are ready for cleaning and prep for paint. Prior to priming, a few of the parts such as the turtle decks and any brace that rivets onto the fuselage's side skins will require dimpling for the flush rivets being used on the project. That should go fast because with the exception of the outer edges of the turtle deck skins, there are not that many holes to dimple in this batch of parts.